It is extremely warm over the entire country right now. Most people welcome warm weather after a cold, dreary winter and a cold, damp spring. Most people pray for low humidity and a high of 75 degrees. Even in Florida that almost never happens except for a few lucky days during the winter. What makes heat so nasty is that most people and their pets are not acclimated to it after a cold winter. This makes people and their pets prone to heat exhaustion and stroke. Dogs do not have a coping mechanism to stay cool and are prone to the deleterious effects of hyperthermia. Outside of the Chinese Crested breed, dogs do not have sweat glands in their skin to aid in evaporating moisture, indirectly cooling the body. Cats are another story. I have never treated a cat for heat exhaustion or stroke. Cats are very clever and the majority of them are sleeping during the heat of the day. Remember that domestic and wild cats are all nocturnal. This is just the beginning of hot weather over much of the country. Is there a way to keep dogs comfortable during the dog days of summer? Keeping dogs cool is easy. There are and all it takes is some ingenuity and common sense! Air Conditioning- This is the easiest solution when trying to keep dogs cool. Years ago in this country air conditioning was a luxury. The home I grew up in New Jersey didn’t have central air. Now most homes have central air or at least a window unit to keep cool. This is the best spot for any dog that needs to stay cool, particularly breeds like the English Bulldog that have that short brachycephalic skull structure. Dogs like The English Bulldog and Pug are prone to heat stress due to the tortuous nasal passages that they both possess. The Basement- Many northern homes have a basement that is below ground level. If you do not have central air a cool basement is the perfect place for keeping dogs cool. Just move the kids and the dogs there and they will have a lot of summer fun. Swimming Pool- Every other house in Florida has a swimming pool and for good reason! It is hot most of the time and there is nothing like cooling off jumping into a sweet pool! As in the featured image above dogs love to stay cool in the water. You don’t have to be a Labrador Retriever to enjoy that refreshing feeling. 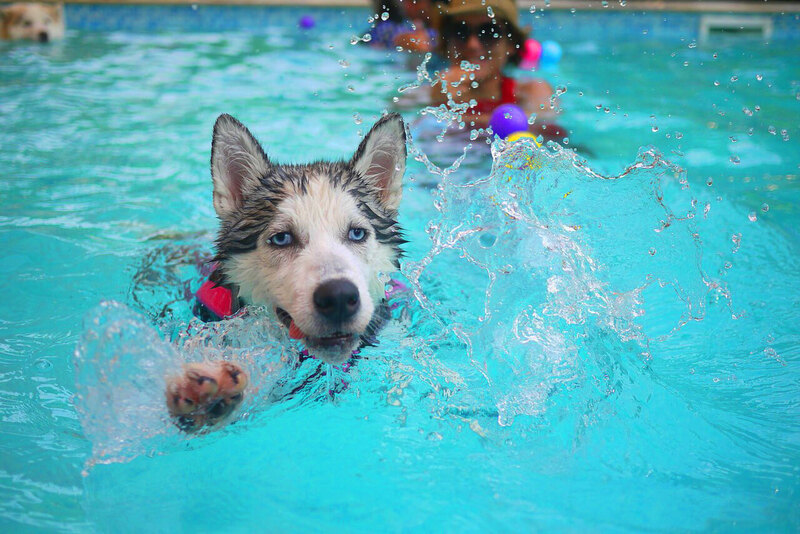 All dogs instinctively know how to doggie paddle so toss them into the water for some summer fun! If you have a pool in your backyard take advantage of it! Bike Paths- Bike paths around the country are usually designed around old railroad track routes that criss cross the country. Many have tree lined canopies that are perfect for you to walk your dog in the early morning or late evening when temperatures are not as hot. The tree canopy keeps the hot sunlight away and gives you a cooler environment down below. Before Florida got so crowded, people in the 1920’s had their homes built under huge cypress trees that shaded the home and cooled the people inside them. A nice COLD drink- Cold drinks do cool the body down. In the opposite extreme warmed up intravenous fluids are given to warm up people and dogs suffering from hypothermia. Cool water is absorbed quickly and can hydrate and cool the body off. Dogs love and i mean LOVE their water bowls topped off with chunks of ice cubes. To make a special treat freeze up several trays of a flavored sports drink and put a handful of those in the water bowl as a treat. The sports drink also replaces electrolytes lost in hot weather. As a veterinarian, I am glad dogs do not drink beer. Alcohol may taste good but it will dehydrate youAlcohol inhibits the effectiveness of ADH (Anti Diuretic Hormone) produced in the posterior pituitary gland. This hormone works at the level of the renal tubules. Without it urine cannot be concentrated and water is flushed from the system in excess. The disease that causes the same problem (like alcohol) is known as Diabetes insipidus. if you don’t watch out! Retail Stores- You are probably wondering why this is included. If your power goes off and you are sweltering take your pet to the local Pet Supermarket. They allow pets plus it will be air conditioned. This is a great way keeping dogs cool. People do the same by congregating in shopping malls if they lack A/C or their A/C compressor breaks. The Beach!- For obvious reasons keeping dogs cool revolves around water. Drinking it, swimming in it, being hosed by it are great ways keeping dogs cool during a hot summer day. A lake serves the same purpose. 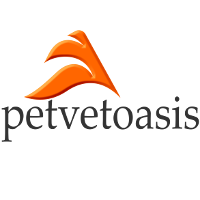 Take your pets on vacation with you and visit either coast or the thousands of lakes that dot the country. Before you go check with the local municipality to make sure that the beach you plan on patronizing allows pets. The Mountains- Mountains may have bodies of water around them but even if they don’t they are usually cooler than any city. Cities are concrete jungles and absorb and give off heat. Keeping dogs cool is much easier in the mountains. The elevation is higher plus mountains are full of trees that cool the landscape. Sprinkler or Hose- This is the simplest way of keeping dogs cool. Setting up a cooling device such as a sprinkler or hosing your dogs will keep them cool. If you don’t have a swimming pool purchase an inexpensive plastic pool used by young toddlers and fill it with cold water. Your dog will be living in there all day! This may be a simple method but it is extremely effective. This is how heat stroke patients are treated! Cooling the dog’s body with a hose and nozzle attachment is the way to go to quickly get the animal’s core body temperature reduced. You get the idea! There are many ways to beat the summer heat! Think cool. In another 6 months you will be dreaming about hot weather again. The human condition goes on and on.